Are so-called sports drinks making you fat? This is why I don’t tell my clients to use pre- exercise drinks or post exercise sugary sports drinks… Just a recovery carb and protein shake or meal in the magic recovery window for best fat lost and recovery results. 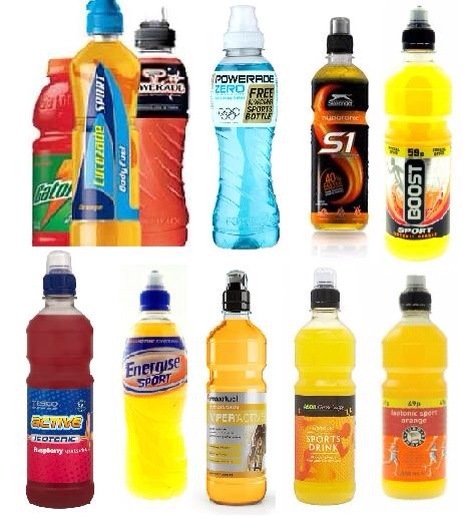 Sports drinks are the liquid of choice for elite athletes. We see them in perfectly polished adverts, sipping from their ‘bottled fitness’, and treat their lean physiques as beacons of inspiration for us average gym dwellers. So on what grounds are researchers from Harvard Medical School claiming that the exact same drinks are responsible for making people fat? It seems almost contradictory: surely sports drinks don’t make you put on the pounds? The answer lies in a category error. Carbohydrate-dense sports drink formulas were originally created to fuel the hours of intense training professional athletes subject themselves to. We’re talking about regular and sustained exertion – and not a 40-minute spin on the treadmill designed to burn off the weekend’s indulgences. But advertising is a powerful thing, and as we’ve increasingly turned to the gym to counteract our sedentary lifestyles, so too have we collided the idea of fitness success with sports drinks and those pictures of professional athletes. Lucozade Sport and Powerade may be intended for elite athletes, but they’re now frequently seen next to the treadmill at the office gym. Should your gym bag contain a sports drink or not? Put simply, if you’re training for Olympic Gold, then yes. But if you’re sole aim is to lose the fat accumulated in daily life, the answer, according to research published in the American Journal of Applied Physiology, is an emphatic no. Sports drinks are typically high in carbohydrates, so they provide athletes with an efficient source of energy. The problem for those looking to lose the blubber is that carbs cause a rise in the hormone known as insulin, which limits the rate at which you burn fat. The Texas study isn’t the only research to suggest that carbs plus exercise don’t equal fat loss. Scientists from the Department of Human Biology at the University of Limburg in the Netherlands similarly found that carbohydrates interfere with the body’s process for burning fat. They support the idea that forgoing a pre-workout sports drink gives your body a hormonal fat burning advantage. But the bad news doesn’t stop there. 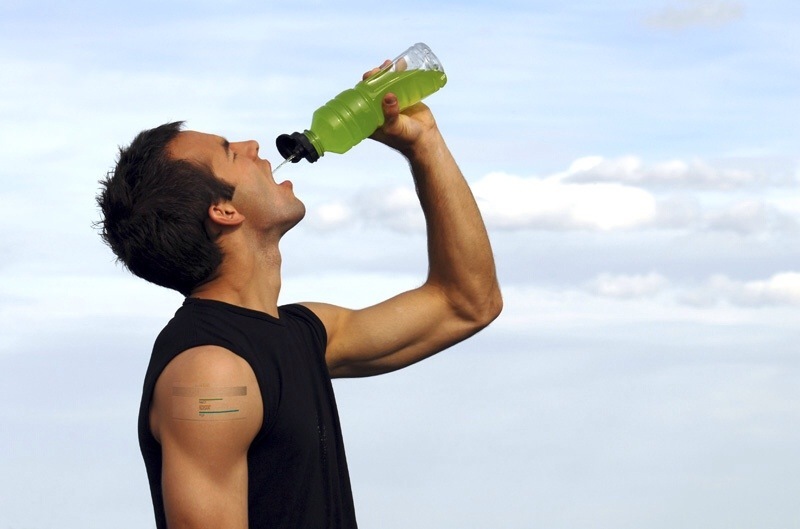 As well as hindering your efforts in the gym, sports drinks can also make you more prone to storing fat. That’s according to researchers from the Department of Food and Nutrition at Purdue University, who discovered liquid carbohydrates add more calories to the diet because they have a lower satiating effect compared to solid foods. Essentially, people are naively drinking litres of this ‘liquid fitness’ without accounting for the additional carbohydrates and calories in their regular diet. Sports drinks also aid strength and power athletes who want to shift iron in the gym. Researchers from the University of Queensland subjected athletes to a two-day carbohydrate restricted diet to see if it had an impact on strength. What they found was a carbohydrate restriction program caused a “significant reduction in the number of squat repetitions performed.” Put simply, limiting your carbs in the kitchen can also limit your performance in the weights room. And what about the guy who hits the treadmill for 40 minutes on Monday morning and then hangs his shoes up for the rest of the week? Well, the research suggests that sports drinks shouldn’t be on his banned substance list – as long as they’re consumed after the run. Scientists have found that consuming carbohydrates in the first 30 to 60 minutes after training can help replenish muscle glycogen and kick-start the entire recovery process. In its post-exercise state, the body effectively becomes a sponge, soaking up all the carbs you have earned on the treadmill and putting them to good use by sending them to the muscles to aid recovery. All things considered, sports drinks are great if you’re an athlete and know how to use them properly. But if your goal is to lose fat then don’t be fooled by the glossy, inspirational adverts which come complete with a professional athlete and his washboard abs. Instead ditch the energy-rich sports drink until at least after the gym and visit the water fountain instead. This entry was posted in Fat Loss, Fitness and tagged carbs, exercise, gatorade, lucocozade, nutrition, recovery, sports drinks, sugars. Bookmark the permalink. ← Why Are We Getting Fatter?